Passover, “Pesach” in Hebrew, is the first of the three major festivals with both historical and agricultural significance (Shavuot and Sukkot, being the other two). On Passover, Jews everywhere celebrate the redemption of the Israelites from Egyptian slavery, over 3800 years ago. Moses, the leader of the Israelites, was commanded by God to demand of Pharaoh, the Egyptian ruler, to let the Jewish people go. Pharaoh was not keen on the idea. Eventually, the Jews of Egypt escaped Pharaoh and slavery in the most spectacular fashion. Passover observances involve the eating of the Matzah (unleavened bread) and the celebration of the Seder. The Matzah eaten on Passover is made of flour and water and without yeast and is baked quickly. It commemorates the hasty departure of the Jews from Egypt, which did not allow time for lengthy preparation and rising doughs. And during the Seder the story of the exodus in told and retold in detail. The picture book, The Passover Story, tells the story of the Jews of ancient Egypt and their escape from slavery in lovely rhymes accompanied by gorgeous illustrations. A kind review would be appreciated. New Release: The Magnificent Cats of Lahaina. MazorBooks is delighted to announce that Mark Eichler’s new book, Brian Learns to Tell Time, is now also available in PRINT. Get your FREE copy of the digital version between November 25 and November 27th and enjoy the lovely illustrations and the value of this cute book. About Brian Learns to Tell Time: In the past, learning how to tell time was part of growing up. We learned to read the numbers and the basic arithmetic that is required for telling time on an analog clock. In today’s world, though digital devices are relied upon for staying on schedule, it is important that kids should be able to look at an analog clock or watch and know what it tells them. If you would like to give the gift of basic knowledge to the special child in your life, introduce him to Brian and enable them to learn with the adorable protagonist the beauty of the analog system. 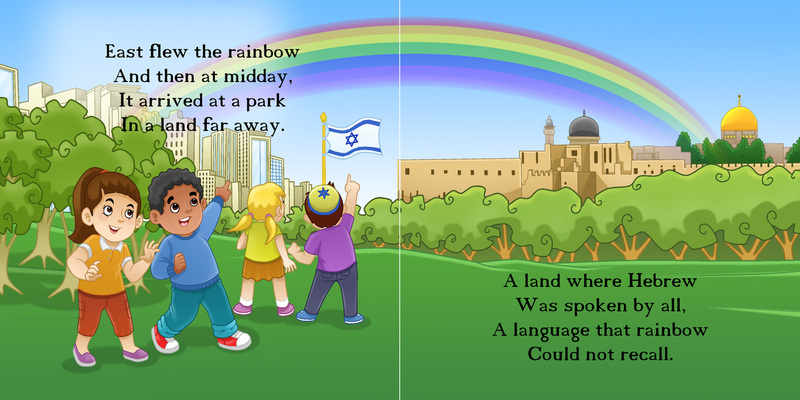 MazorBooks is proud to present the newest addition to its “A Taste of Hebrew” series for English speaking kids. The paperback edition will be released in the next week or so. The print version adds to the enjoyment of the book, as the images on right and left pages complete each other.